Colour Craft have one of the largest selections of colours and sizes, all available direct from stock. We carry over 2 million envelopes in our UK warehouse and over 20 million available for direct dispatch from our paper mill partners. Peel/Seal Envelopes – Wallet style straight flaps with a quick tear peel & seal strip for a fast, easy finish. If you're looking to save money when buying in bulk, we have a wide range of wholesale boxes available direct from stock. Save up to 25% on the regular price when you buy in bulk. Choose a colour group and/or envelope size to find all the envelopes we have in that style. 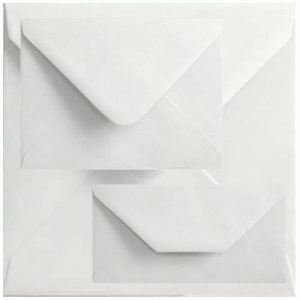 Looking to order white peel and seal envelopes in quanities of 1000 or more? Our bulk boxes give you the best deals on our white envelopes, by giving you a discounted price for buying a large quanitity! Most are shipped the day of purchase and in most cases, they are delivered the very next day! For large quanities, please ring us for the best available price. CCD Group websites. Click here to visit. Copyright 2019 © , Colour Craft Direct Ltd t/a Colour Envelopes, All Rights Reserved. Images shown on this website are representative, and may not reflect true colour shades or texture. Please request a colour sample if exact colour matching is important for your project.